Oef ! ! 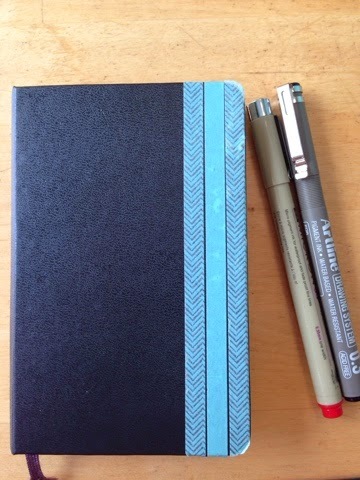 I finally finished my first tangle pattern notebook with step outs. 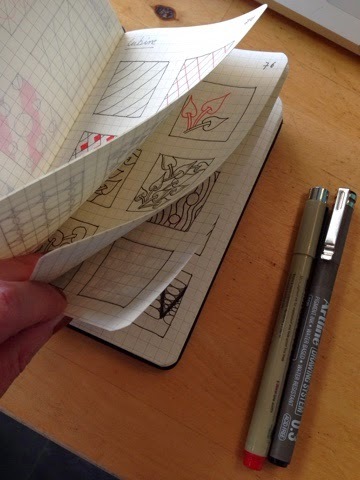 I used a Moleskine notebook with squares to put in the patterns I already learned and used in a tile. 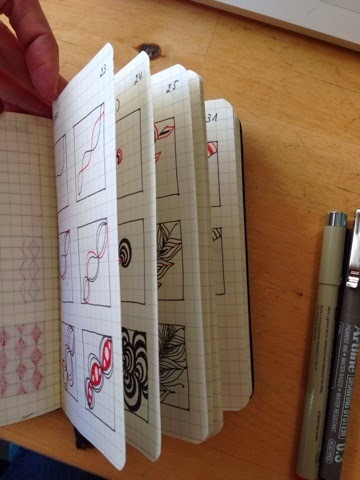 I was introduced to zentangle about a year ago, and after a short time I felt the need to have a reference of my patterns, so I started to put them in a notebook. There are 93 patterns in my book, not bad for one year ! And I made an alphabetic register at the back. It is a really good help when I'm looking for a pattern while I'm drawing. Mostly I used the tanglepatterns.com site for learning and seeking new patterns. There is a link on the right side of my blog to this site. My eldest daughter pimped the front cover with some nice looking tape - because the kitten had bitten in it in the beginning, and there were some tooth marks it it :(. But now I like it again. She already pimped my second notebook I'm going to start with some other tape. It will take a while I guess before that one will be finished.